Omegle TR chat sites are kind of chat sites which created for Turks. If you want to chat with Muslim people from Turkey, you can always try to chat here. Turkish people are used to be warm and nice against strangers who are coming from abroad in their chat sites. However it won’t be easy for you to chat with them if you don’t know Turkish well. And you are going to find hardly who speaks English. If you are interested to speak with these people on chat sites, we are going to give you a few good examples about that. 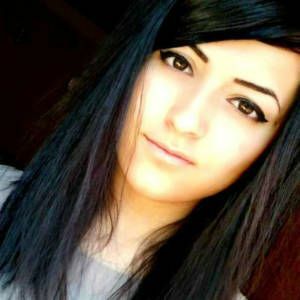 There are also many beautiful Turkish Girls on Omegle TR sites. You will enjoy to speak them. Turkish girls used to follow Muslim religion. However they are very open-minded girls and they love to talk with foreigners. Turkish men also very good and warm against foreigners too. If you want to start a dating with Turks, the sites will be awesome for you and you will find a ot of partners to chat there. Turkish sites used to be populated sites. They love to chat and they love to talk with strangers. They have a good sense of humor. They are generally brunette with dark hairs and dark eyes. However there are still many blondes in the country. There are many ethnics in country. There are Kurdish people, Caucasian people, Armenian people, Arabic people, Bosnian people, Albanian people, Christian and Jewish people in Turkey. You can meet any of these people in Omegle TR sites. If you want to start dating with someone Turkish girls and men will be a good option for you. Let’s start to mention about Omegle’s Turkish Alternative sites. Turkey has been blocked Omegle recently, you can learn how to unblock Omegle with out tips on How to Chat Online or you can take a look at our DNS change tips. The site is completely Turkish and free to use. You don’t need to register to site for chat with people. However you need to be 18 years old at the lease for chatting here. Otherwise you may get ban. Site admins are very careful about terms of the site. It hasn’t got a quality view but it has a quality chat panel, quality camera view and quality text chat options. There are many Turkish people online in the site. The site is looking like your omegle script. Text Chat is looking like Omegle but video chat feature is looking like chatroulette. You need to be 18 years old at the least for chatting here. The site is completely Turkish but if you know about how to chat on Omegle and Chatroulette, it won’t be problem for you to use it. Buttons are in the same place with these sites. Another Turkish site which is looking Text Omegle Chat GEN TR. You need to be minimum 18 years old for chatting here. It’s free to use and you won’t need to register to system here. There are many Turkish girls here and it will be a suitable option for you where you can start a dating. These are the best Omegle TR chat sites which you can chat with Turkish people. Hello, Are you Turkish? I am Turkish too.